Stan Newens was born on 4th February, 1930. Educated at elementary schools he obtained a history degree at University College, London. Excited by the election of Clement Attlee and the Labour government in the 1945 General Election, Newens joined the Labour Party. He later recalled: "The 1945 general election had been the crest of the wave for the development of the left in Britain. 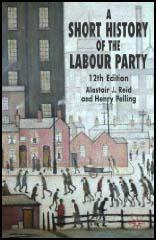 The British Labour government, which took office, implemented a very radical programme-nationalisation of the Bank of England, coal, gas, electricity, the railways, civil aviation, long distance road haulage, cable and wireless and steel; the creation of the welfare state, the national health service, massive house building, the establishment of the New Town, etc." Newens became a schoolteacher and held several posts in the National Union of Teachers. He was also chairman of the Movement for Colonial Freeman and president of the London Cooperative Society. Newens became concerned about the Labour Party moving to the right: "One of the principal reasons for this was the growth of affluence among working people and the coming of age of a generation who were too young to remember the miseries of the inter-war period. Another reason was the Cold War, reports of repressive acts by Communist governments and the trials and executions of leading Communists in Eastern Europe. This destroyed the appeal of the British Communist Party and rubbed off on all who advocated left wing socialist policies - even those who were critics of infringements of human and democratic rights by Communist regimes." Newens was also a member of the Socialist Review Group led by Tony Cliff. During this period Newens was a supporter of the theories of Leon Trotsky. Newens opposed the election of Hugh Gaitskell as leader of the party: "The election of Hugh Gaitskell as Labour Party leader in 1955 and the dominance of right wing leaders in the trade union movement reflected the shift to the right. Great demonstrations or mass struggles for left wing objectives seemed to be remote from reality - the phenomena of an age that had passed. Those who considered themselves to be in the mainstream of post-war life had little sympathy with strikes and mass demonstrations." Newens gave his support to Aneurin Bevan and Harold Wilson in their struggles with Gaitskell. Wilson later commented: "A few of us, Barbara Castle, lan Mikardo and myself, felt that we should form a small tight group to work out our strategy and our week-by-week tactics. I was elected leader. We met at half-past one every Monday. I set myself the task of resisting extremism and provocative public statements." Newens added: "At the Morecambe annual conference of the Labour Party in October 1952 the Bevanites, ie the Labour left, captured six of the seven constituency party seats on the NEC. In 1953-54 the left, joined by some in the centre and even on the right, fought a long campaign to stop German rearmament. In 1955 Aneurin Bevan opposed British membership of the South East Asian Treaty Organisation (SEATO) and was briefly expelled from the PLP." In 1956 Newens was active in the campaign against the attempts by the British government to capture the Suez Canal. "The Trafalgar Square rally turned out to be a seminal event in British Labour history. 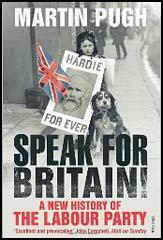 My 6,000 leaflets, which a crowd of dockers helped us to distribute, disappeared in a flash. All afternoon people were pouring into the square until it was impossible to move. At the height of the proceedings, a great chant went up in the north western corner of the square as a massive column of student demonstrators began to come in and went on endlessly." Newens was also a strong opponent of the Soviet invasion of Hungary. "The Suez expedition and Soviet intervention into Hungary created a new situation on the left in Britain and made an impact which lasted for at least a generation.... The revolt in the Communist Party threw up an army of potential Labour Party recruits who were steadily absorbed. But at the same time the protests against Suez politicised and reinvigorated a host of others. Trade unionists, highly experienced political workers, gifted intellectuals and many new, dedicated young people joined the ranks. The experience of the anti-Suez campaign and the fight against repression in Hungary and elsewhere in Eastern Europe generated a new breed of political activists who joined the political struggle throughout Britain." Newens was elected to represent Epping in the 1964 General Election. In the House of Commons Newens associated with a group of left-wing members that included Konni Zilliacus, Ian Mikardo, Barbara Castle, Sydney Silverman, Geoffrey Bing and Emrys Hughes. In 1965 Newens joined Michael Foot, Konni Zilliacus, William Warbey, Russell Kerr, Norman Atkinson, John Mendelson and Sydney Silverman in protesting against American intervention in Vietnam. However, Newens and his friends were unable to persuade the Labour prime minister, Harold Wilson, to condemn US policy on Vietnam. Newens lost his seat in 1970 but won it back in the 1974 General Election. He left the House of Commons in 1983 and the following year he became a member of the European Parlament for London Central (1984-1999). Newens is also an active member of the Health Centres Trust. For some years prior to 1956 the British labour movement was in overall decline. The 1945 general election had been the crest of the wave for the development of the left in Britain. The British Labour government, which took office, implemented a very radical programme-nationalisation of the Bank of England, coal, gas, electricity, the railways, civil aviation, long distance road haulage, cable and wireless and steel; the creation of the welfare state, the national health service, massive house building, the establishment of the New Town, etc. Even so, electoral support declined before the government had run its course. Although Labour did not lose any of the 22 by-elections it fought up to 1947, the local elections of that year showed severe Labour losses. Gallup Public Opinion Polls put Labour and the Conservatives at the same level in mid-1947, but thereafter the Conservatives went ahead, until in November 1949 they were ten points in the lead. Labour managed to rally at this point, however, and in the February 1950 general election actually secured a clear lead of nearly a million votes. Unfortunately, the overall majority of seats fell to five, owing to the concentration of Labour votes in a limited number of constituencies, while many marginals were overwhelmed by small Conservative majorities. After 1950 Labour also fell back, but once again in the 1951 general election it pulled back and polled more votes overall than the Tories (13,948,833). This time, however, its seats were reduced to 295 against the Conservatives’ 321, which gave the latter a majority of 26 over Labour. As a result, Winston Churchill again became prime minister. In the years that followed Labour support declined again and in the 1955 general election the Conservatives were returned with a majority of 67. Thereafter the drift to the right continued, with the Labour vote being seriously cut back. One of the principal reasons for this was the growth of affluence among working people and the coming of age of a generation who were too young to remember the miseries of the inter-war period. Another reason was the Cold War, reports of repressive acts by Communist governments and the trials and executions of leading Communists in Eastern Europe. This destroyed the appeal of the British Communist Party and rubbed off on all who advocated left wing socialist policies - even those who were critics of infringements of human and democratic rights by Communist regimes. The election of Hugh Gaitskell as Labour Party leader in 1955 and the dominance of right wing leaders in the trade union movement reflected the shift to the right. Great demonstrations or mass struggles for left wing objectives seemed to be remote from reality - the phenomena of an age that had passed. Those who considered themselves to be in the mainstream of post-war life had little sympathy with strikes and mass demonstrations. In local, ward or general committee Labour Party meetings, in trade union branches and in other areas of activity, it was only too clear that the left was swimming against the tide. There may have been exceptions, but I can vouch from my own experience in urban Stoke on Trent and suburban and rural West Essex that the level of activity and the numbers of members were constantly falling and the majority of those who remained tended to reject left wing proposals. I attended meetings in the old Holborn Hall and such rallies as there were in Trafalgar Square and handed out leaflets, etc. Attendance was sparse and enthusiasm limited to the few. There was nonetheless an active left throughout this period, albeit in the minority. On 5 March 1952 an amendment in the House of Commons condemning the rearmament proposals was backed by 57 Labour rebels who - despite their variety - essentially represented the Bevanite movement, which had existed as the Keep Left Group even prior to Aneurin Bevan’s resignation in 1951, which gave the group its name. At the Morecambe annual conference of the Labour Party in October 1952 the Bevanites, ie the Labour left, captured six of the seven constituency party seats on the NEC. In 1953-54 the left, joined by some in the centre and even on the right, fought a long campaign to stop German rearmament. In 1955 Aneurin Bevan opposed British membership of the South East Asian Treaty Organisation (SEATO) and was briefly expelled from the PLP. The impetus did not fade as we returned to our homes and it was contagious—inspiring many who were not present, throughout the country, to oppose Eden’s war. In Trafalgar Square Mike Kidron, a fellow Socialist Review supporter, told me (as he had left home much later) that the Russians were apparently going in to crush the uprising in Hungary, which had occurred in the latter part of October. The British Communist Party was already in deep crisis. Ever since Nikita Krushchev, the new Soviet leader, had repudiated Soviet changes made under Stalin against Tito in Yugoslavia, which the CPGB leaders had supported, there had been widespread unease. Since then there had been Krushchev’s secret speech to the 20th Congress of the CPSU on 25 February, which the Observer had published in full on 10 June. The Hungarian prime minister, Matyas Rakosi, had confessed that the trial of Laszlo Rajk, a Hungarian Communist leader who had been executed, had been rigged. In Poland Gomulka had assumed power in defiance of Soviet wishes after riots in Poznan in June. The Hungarian revolt had been the last straw, particularly when the case of Edith Bone, a British Communist who had been tortured and ill-treated in a Hungarian prison, hit the news. A huge swathe of Communist Party members were in revolt at the unwavering support given by their leaders to Soviet policy under Stalin. Peter Fryer, the Daily Worker correspondent in Hungary, sent in reports which the paper refused to publish. It found another journalist, Charlie Coutts, who was prepared to defend Soviet action. Peter Fryer resigned from the Communist Party, wrote a book The Hungarian Tragedy in record time and joined Gerry Healy and his group. Edward Thompson and John Saville were publishing The Reasoner, a duplicated magazine, which they refused to close down. A third of the Daily Worker’s journalists left. Key trade unionists like John Homer, general secretary of the Fire Brigades Union, Jack Grahl, Leo Keely, Laurence Daly (a leading Scottish miner), Les Cannon of the ETU and many others left the party. The historians Edward Thompson and John Saville quit. Christopher Hill, another historian, who with Peter Cadogan and others produced a minority report on inner party democracy, left afterwards. Besides these and other well known figures, thousands of other members were in revolt.